Johannes Gutenberg printed the first book, the Gutenberg Bible, around 1455. Over 500 years later, his invention still shapes how we communicate. But what did his press look like? And how did it work? 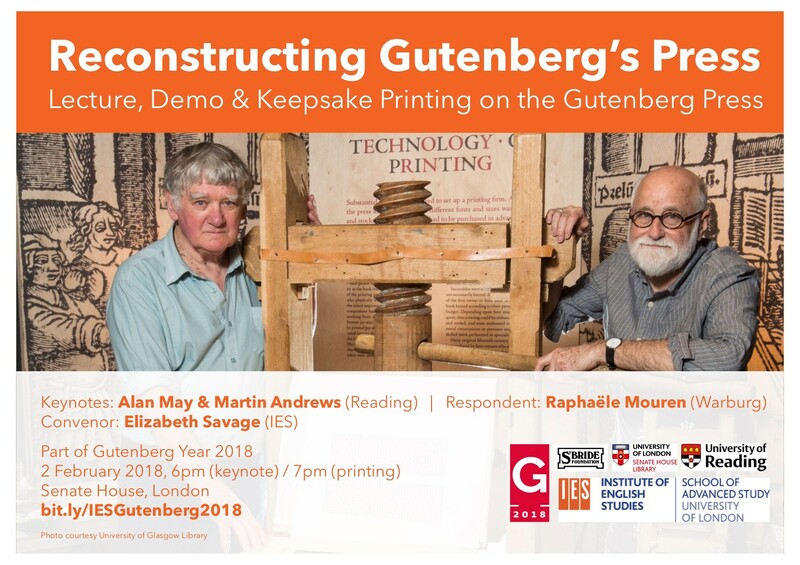 This event gives participants the rare opportunity to learn how Alan May and Martin Andrews reverse-engineered and rebuilt Gutenberg’s invention, and then stand in Gutenberg’s footsteps to print a take-away keepsake themselves on the replica Gutenberg Press. Alan and Martin are world-leading experts in the history of printing techniques. Their reconstruction of the Gutenberg Press pioneered research into mechanics of the press and methodologies based on reconstructions. Raphaële Mouren (Warburg) will respond. The event coincides with an exhibition of fifteenth-century books at Senate House Library. Together, they relaunch the IES Annual Lecture in the History of the Book. The event is free, including keepsake printing and wine reception, with a recommended donation of £10 to benefit St Bride Library. Martin Andrews started his career as a museum and exhibition designer and in 1990 became a lecturer in Typography & Graphic Communication at the University of Reading. As well as teaching graphic design he concentrated on printing history and helped in the development of the department’s extensive historical collections and the Centre for Ephemera Studies. He has published widely and lectured in this country and abroad. Specialising in the history of nineteenth-century commercial wood-engraving, he has also written a biography of the twentieth-century wood-engraver Robert Gibbings, the director of the Golden Cockerel Press. More recently he has been working with Alan May on a reconstruction of the one-pull press developed by Gutenberg. Alan May’s career in printing commenced with his employment as a designer at the Kynoch Press, Birmingham. He later took up the teaching of design and was employed at Stafford College of Art and the Department of Typography & Graphic Communication at the University of Reading. His practical and research interests include type-founding and early letterpress printing. Since retirement from teaching he has concentrated on reconstructing a number of early presses. To date six model presses and five full size common presses have been built, including the Gutenberg Press, the Dürer Press, and two for the television series ‘Outlander’. 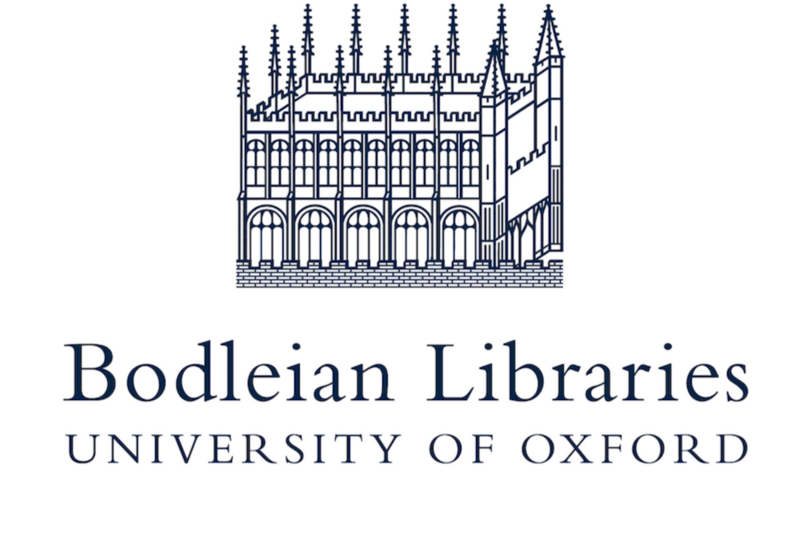 Dr Raphaële Mouren is Reader in History of the Book and History of Libraries, University of London, and Librarian of the Warburg Institute; Deputy-Director, Centre Gabriel Naudé. Elizabeth Savage is British Academy Postdoctoral Fellow & Lecturer in Book History and Communications, Institute of English Studies. She is convening the IES’s term-long portfolio of events to commemorate the 550th anniversary of Gutenberg’s death for the international 2018 Gutenberg Year, https://gutenberg2018.eu.